The most robust ecosystem services markets in the United States are those driven by regulatory frameworks and laws requiring negative impacts on natural resources and wildlife to be offset, or mitigated, in order for a particular activity that generates those impacts to occur. The two laws that govern these markets for compensatory mitigation are the Clean Water Act (CWA) and the Endangered Species Act (ESA). Conservation banking systems allow creation of credits for providing habitat suitable for endangered or threatened species, which can then be sold to offset the impacts of development in another location. Photo Credit: US Fish & Wildlife Service. Prior to passage of the CWA, many of the nation’s important wetland ecosystems were drained, filled, and destroyed. As the vital function of these areas became recognized, the CWA held that any destruction or degradation of wetlands must be offset by the protection or creation of other wetland resources to replace those damaged or destroyed. This was known as a “net zero loss” law, requiring developers to mitigate their impacts under a Section 404 permit. Another option is known as in-lieu fee mitigation, which allows a developer to make a payment to the program, typically administered by public agencies or non-profit organizations, which have established an agreement with regulatory agencies to use the collected in-lieu fee payments to do wetland or stream restoration, creation, or enhancement actions. The ESA, by the same token, creates a regulatory system where developers and others who impact endangered wildlife and their habitat are required to mitigate those impacts under what is known as “incidental take permits.” The ESA’s goal is to protect critically imperiled wildlife species, and to ensure the recovery of their numbers. Conservation banking under the ESA is a method where a developer or other entity can purchase credits for mitigation of impacts to endangered wildlife. In 2008, the U.S. Environmental Protection Agency issued regulations guiding compensatory mitigation efforts resulting from losses of wetlands and aquatic resources. The 2008 rule gave preference to off-site mitigation involving larger scale intact wetlands systems. Under these regulations, preference is given to wetlands mitigation banks first, in-lieu fee programs second, and then, only if neither of the first two options is available, is on-site permittee conducted mitigation accepted. This enables a more holistic watershed scale approach supported by compensatory mitigation, and suggests that future projects impacting wetlands would seek mitigation from off-site sources via in-lieu payments or wetlands banking. The result of mitigation efforts under these regulations has been to enable a more ecologically appropriate landscape-scale approach to mitigation, reducing losses in ecosystem function and improving the incorporation of science in mitigation and resource management. It has had the added benefit of reducing uncertainty and permit processing time. Since the issuance of the 2008 rule, mitigation banks and in-lieu fee programs have increased significantly and reliance on these to fulfill mitigation responsibilities has dramatically increased as well. According to the Regulatory In-Lieu Fee and Bank Information Tracking System (RIBITS) operated by USACE, Arizona has no established, active, and approved Section 404 wetlands mitigation banks, although there are a couple of conservation banks for endangered species. 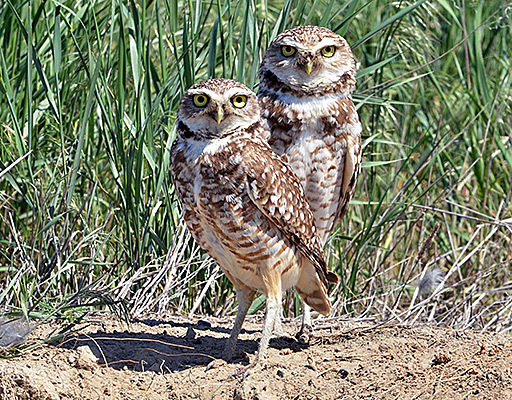 However, there are several in-lieu fee programs in Arizona that have been approved by USACE since 2014, including a number of programs operated by Arizona Game & Fish, Prescott Creeks Preservation Association, Tucson Audubon/Pima County Regional Flood Control District, Superstition Area Land Trust, and La Paz County. However, the Tony Ranch site operated by Superstition Area Land Trust has been withdrawn after its initial approval, and most AZGF programs are already sold out of mitigation credits. The limited number of mitigation or conservation banks, as well as in-lieu fee programs, in Arizona and the anticipated demand that continued development activities are likely to generate suggests that there is potentially a considerable amount of unmet need with respect to wetlands mitigation and species mitigation. With the majority of credits sold out from existing in-lieu fee programs for wetlands mitigation, and only two operational conservation banks for species (both for the Pima pineapple cactus), there are considerable opportunities worth exploring, especially by a landowner such as the Arizona State Land Department, which manages 9.2 million acres throughout the state.